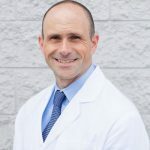 Brett Rabin is a California Licensed Acupuncturist specializing in the treatment of musculoskeletal disorders and the mitigation of pain associated with acute and chronic injuries. He has been the Acupuncturist for the San Diego Padres since the 2015 season and currently treats professional baseball players on the active rosters of MLB. He utilizes Sports Medicine Acupuncture alongside MLB Athletic Trainers, Training Staff, Team Doctors, Sports Physical Therapists, and Chiropractors in the on-going evaluation, treatment, and rehabilitation of professional baseball players on the San Diego Padres active roster. In his private practice, Brett remains committed to providing the utmost in quality patient care. He firmly believes in fostering open communication with each and every one of his patients. Each patient receives a personalized treatment plan designed to fit his or her health needs. Acupuncture, Chinese herbal medicine, cupping, postural and movement analysis, nutritional consulting, stretching, and home-based exercises are just some of the medical modalities that may be included in the treatment plan. He is a graduate of the Pacific College of Oriental Medicine (PCOM) in San Diego, where he received a Master of Science in Traditional Oriental Medicine (MSTOM). 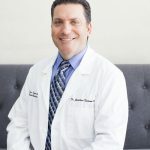 Brett is also Certified in Sports Medicine Acupuncture (C.SMA), a unique distinction in the field of acupuncture. From 2012 through 2017, Brett treated patients at Scripps Center for Integrative Medicine (SCIM) in La Jolla, CA. He utilized comprehensive clinical treatment plans and protocol evaluations in concert with Integrative Medical Doctors, Nurses, Nutritionists, Biofeedback Specialists, and Medical Assistants. The unique opportunity to combine the principles of Eastern medicine with the science of Western medicine at a highly regarded medical facility enabled Brett to practice a truly integrative approach to health care.